Deep in the wilds of Tempe, AZ resides clothing guru Dan Dreyer, a dedicated performance v-twin enthusiast and the man behind Dixxon Flannel®. His focus on making the best of the best has elevated him from wrench at a local HD® dealer to the unabashed leader in the high end flannel space. His passion for performance aligned very nicely with ours and we both knew some sort of collaboration had to happen. 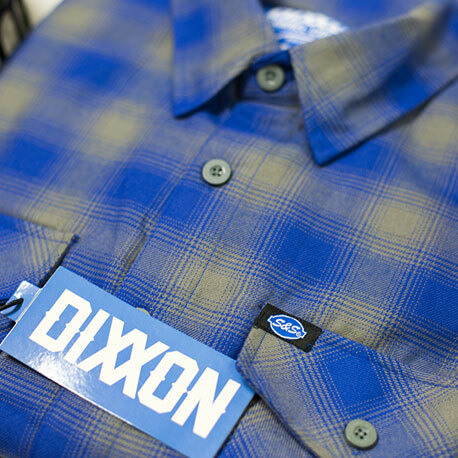 The first of what we hope is many pieces to bear both brands is this S&S Blue on Blue riding flannel and we hope you like it as much as we do! 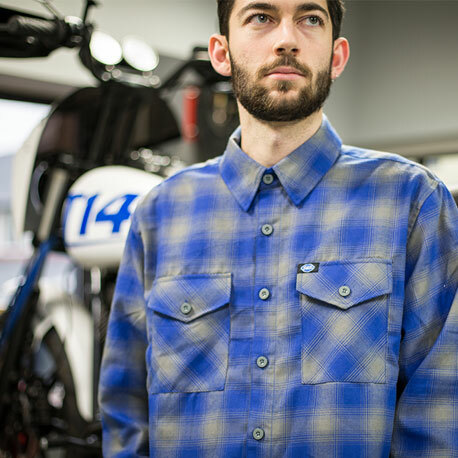 These flannels have been modified to have longer sleeves with extra width in the back and longer shirttails to still fit when you're in the riding position. This is a limited edition, meaning once they are all sold out, they are gone forever. Get yours before it’s too late. 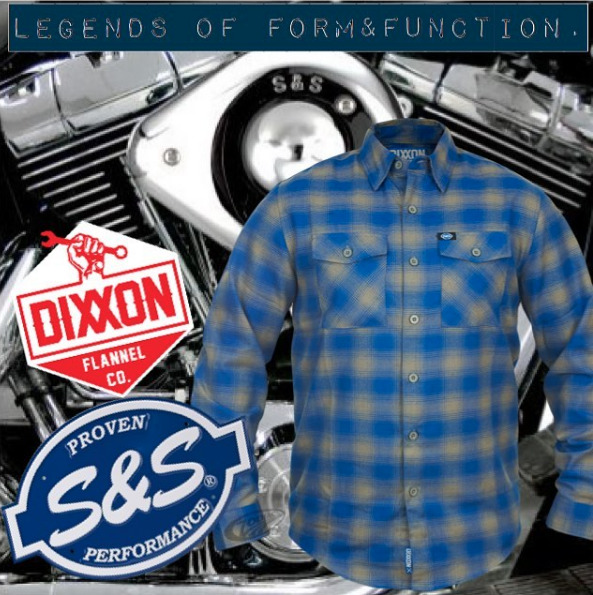 “It’s an honor to work with S&S Cycle as no matter how we shake it Big Pumpin VTwins are engrained in the Dixxon Flannel DNA. As the younger generation shows the legends what we’re made of, the simple idea of a collaboration is the ultimate nod of approval from the men and women we have looked up to for decades. Years of pouring over Hot Bike Magazine and parts catalogs, every single one of our staff members has deep roots in motorcycles.